Spring is, definitively, the season for athletic e-commerce sales. Yes, January is a very popular month for starting a new diet or resolution, but when the weather starts warming up, your customers are planning their new outdoor workouts. Getting their sweat on where others can see them means it’s time to ditch last-season’s beat up sneakers and tattered shorts, and go shopping for the latest in high-functioning, beautiful athletic apparel. Is your Shopify store ready? Athletic apparel and equipment is a unique category in the e-commerce fashion industry, in that it changes according to shifting trends, but must do so without sacrificing functionality or durability (or suffer the fate of Lululemon, which took years for the massive company to recover from). Shopify stores that are looking to start or increase their sales should keep an eye on not only what competitors’ products look like, but also the marketing strategies they’re using to gain trust and build excitement for new releases. How can you really tell if a sneaker is what you’re looking for, or how that slick looking pair of yoga pants really performs on a body in motion? As athletic apparel is increasingly bought through e-commerce stores, customers are finding that photography is important, but not always enough – so they’re turning to video. Creating compelling videos for your Shopify store is an important step in marketing your brand, but especially so when it comes to performance items that aren’t available for inspection in any retail location. While customers are becoming more comfortable with the idea of waiting to try on a pair of shoes or an outfit until after they buy them (as long as your return policy is generous enough), they’ll still want to inspect the merchandise as much as possible before handing over their credit card. The more information you can provide them, the more sales you’ll make in 2018 – and the less you’ll lose shoppers to your competitors. That said, don’t be shy about making your video about more than just the physical details of your product. To really boost e-commerce sales, take a note from our client NOBULL, and their highly successful video marketing efforts. Why does this video work? 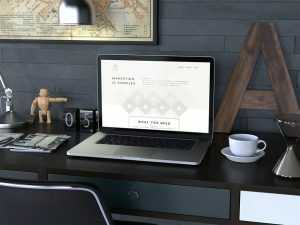 It showcases their most popular products while also communicating the lifestyle that their customers aspire to. Since 2015, the rise of “athleisure” has been on the radar of fashion companies the world over – and the trend is here to stay. Defined as sports clothing designed without a particular purpose in mind, we’ve seen some of our sports clientele embrace the category carefully by offering more design-heavy items than before. One of our favorites at the moment is the extensive line of edgy, fashionable leggings from our client 90 Degrees by Reflex, which are created to look great without compromising on functionality. We really like this prudent approach, as athleisure is now so popular that the market is in danger of overcrowding if you switch your inventory entirely. However, by offering more fashion-forward and versatile apparel, you won’t force your customers to choose between functional gear and items they can wear as easily to brunch as they do the gym. 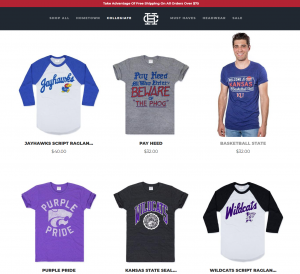 If your apparel e-commerce store doesn’t already sell athletic gear, but you still want to get in on the sports boom, take advantage of many teams getting back on the field and offer supporting patterns! Our client Charlie Hustle has formed anentire brand around vintage-inspired clothing for fans of many professional and collegiate sports teams. Their Shopify store highlights the variety of their inventory, while maintaining a unified theme throughout. A great way to build a community of enthusiastically loyal customers is to offer sports apparel for their favorite local teams, such as semi-professional leagues or niche sports like lacrosse and roller derby. You’ll need to get in contact with the teams to get a license to reproduce their logos and any catch-phrases, but getting in touch with them will give you a connection to that community, so it’s a win-win situation anyways. While marketing personalization isn’t strictly an athletic e-commerce trend, it is one that every industry should be striving for. When customers shop online, they’re offering lots of valuable information to your brand – much more than they would in person – and it’s your responsibility to collect and act on that data. If you’re serious about launching or increasing your revenue through athletic apparel sales this season (and well into the future), then it’s time to invest in a data-driven marketing engine that helps you customize your customer experience. Consider how much more appealing your website will be if the first thing you show a returning visitor is merchandise for their favorite team, or show a new visitor their city or town’s? To do either, all you need is buying history or location data! Once your data is unified into one dashboard, you and your team will be able to offer more interactive and personalized communications, and feedback around what is working and what isn’t. Ross is the Founder and CEO of Growth Spark, one of the leading agencies for custom Shopify design, strategy and development services. He is also the founder of Managing an Agency Business, and is a frequent speaker at design and development events around New England.